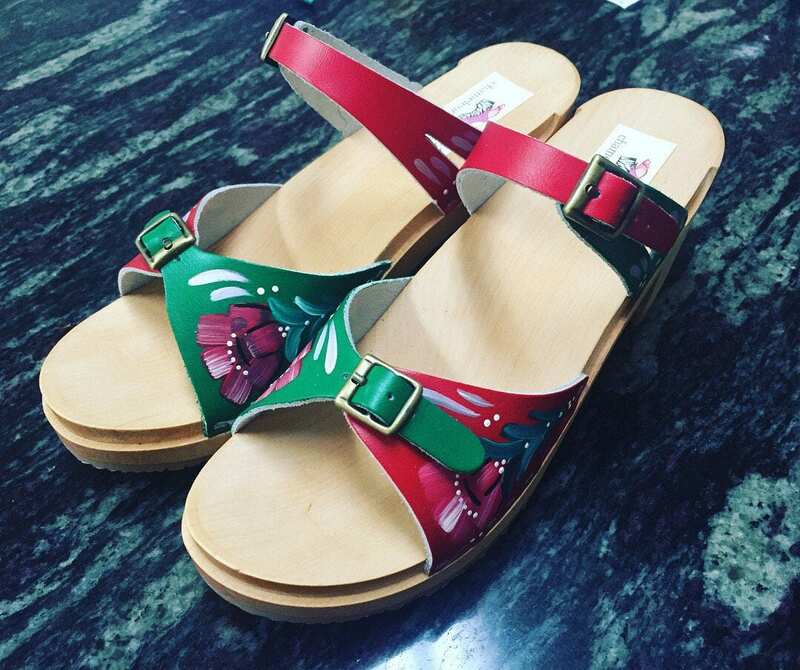 Hand painted Scandinavian floral on a two tone sandal with simple strap. Made in our popular red and green leather and natural medium heel with a gold buckle across the toes and instep to customize the fit! Available in any of my other colors. Just pick the two you prefer! Buckles can be gold, bronze or silver. Base can be dyed brown or left natural.